Fiddle; photo by Steven Higgins on Flickr (noncommercial use permitted with attribution / no derivative works). According to PBS.org, the fiddle is the oldest instrument of American roots music and was virtually the only instrument found on the frontier for many years. There are written accounts of fiddle contests as early as 1736. Fiddle (or violin); public domain photo on Wikipedia. 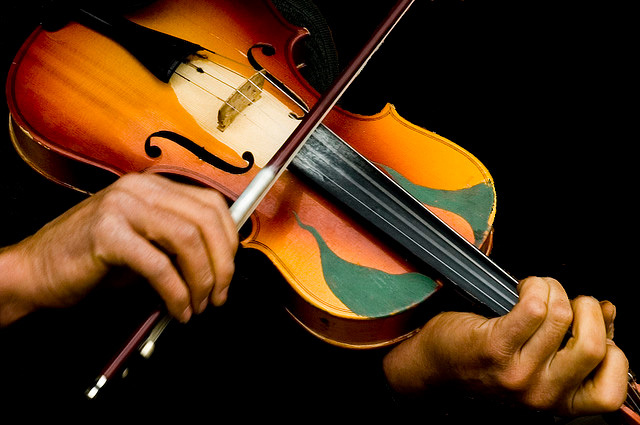 Fiddle vs. Violin- What's the Difference? Video of Fiddle vs. Violin- What&#039;s the Difference?